The Everyman Paperback Classics series offers the latest scholarship on the works of the world's greatest poets, writers and philosophers. Each edition includes a comprehensive introduction, chronology, notes, appendix, critical responses, and a text summary. Presented in an affordable edition with wide format pages for generous margins for notes. Contact your sales rep or call Tuttle for a complete list of available titles. About Daniel Aaron (Editor) : Daniel Aaron is a published author and an editor. Published credits of Daniel Aaron include Northampton. 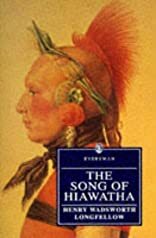 : An article from: American Scholar and The Song of Hiawatha (Everyman's Library (Paper)).